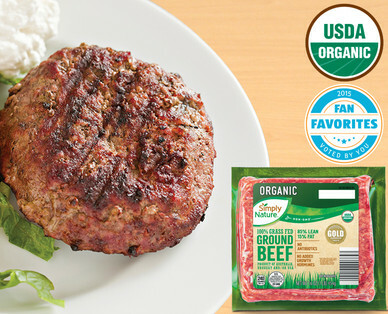 Our organic, Grass Fed Ground Beef is 85% lean and comes in a convenient 1 lb. package. Free of antibiotics, hormones, and steroids. Organic, grass fed ground beef tends to be higher in healthy fats than conventional ground beef.